It’s time to raise your expectations! We want you to compare our software to any other vendor product and learn why thousands of providers and billing services of all sizes choose SolAce to stay in control of their billing. Contact us to see how easy it is for you to do the same. SolAce is the most accurate, user-friendly and cost-effective solution available for enabling HIPAA transaction support in your office. SolAce generated electronic claims have high acceptance rates that significantly increase reimbursements, reduce administrative costs, and can eliminate clearinghouse fees. With no extra hidden charges for implementation, training and support, and the ability to add unlimited users, you will find our value proposition impossible to beat. SolAce supports dozens of fields not currently available on the standard forms but these fields are often mandatory for specialty billing (e.g. DME, Anesthesiology, Podiatry, Transportation, Chiropractic, Physical Therapy, Osteotherapy, Ophthalmology, Home Health, Hospice, and more.) SolAce EMC includes unparalleled support for secondary claims submission and also contains numerous Payer specific edits. If we cannot integrate SolAce with your practice management system, we will unconditionally return your money within 30 days. SolAce is compatible with almost every practice management system available, including Medisoft, Lytec, AltaPoint, VersaForm, AdvanceMD, VantageMed, MedLook, and more. Ultra-flexible mapping and data type features within SolAce lets you map and import data from any practice management system that produces a consistently formatted file of claims (CMS-1500 and UB-04 print files, old-style NSF and UBF files, CSV files and 837 files) With just a few clicks of the mouse, files can be mapped without incurring clearinghouse or vendor set-up fees. AXIOM will create these maps for you; as part of your free implementation. SolAce has features that allow you to create a new claim in just seconds. Simply select the patient, enter the date of service and bill code on each line of service, press save, and SolAce does the rest. SolAce databases let you track patients, guarantors, schools, employers, and physicians, and link patients to these different entities allowing you to auto-fill a CMS-1500 or UB-04 form. An unlimited number of fee schedules can be set up with Bill codes to prepopulate codes and charge amounts quickly and accurately. A claim copy feature lets you rebill common claims repeatedly, which is convenient for Clients (such as Chiropractors) that have regularly scheduled patient visits. SolAce matches every electronic claim with acknowledgements received from payers and lets you know if there is a problem. In addition, comprehensive reports and screens allow you to view tracking and summary reports easily. 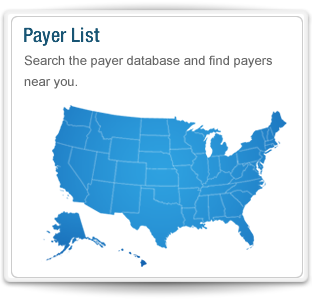 999, 997, 277CA, 277CU and proprietary payer reports are rendered as easy to view and print for your convenience. No hardware, modems, databases or IT staff required. You just need high-speed Internet and an up-to-date browser. Compliant with security and privacy regulations, using dedicated hosts, encryption of data at rest and in transit, and other safeguards. Redundant in two data centers with constant replication. This means your data is safe, secure, and highly available.